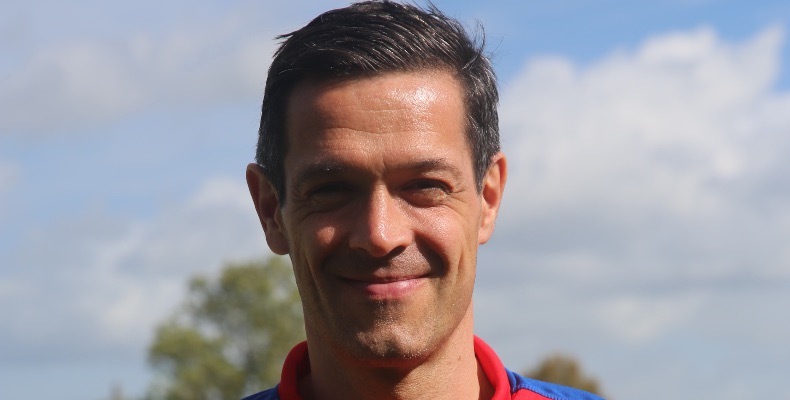 Millfield School’s director of sport, Scott Drawer, considers himself fortunate to work with some amazing people in development through to high-performance coaches, athletes and support staff. Q. What do you love about sport? Sport provides a unique development context for any individual of any ability. In sport you lose more than you win, you make more errors than you succeed, and you have the opportunity to challenge yourself every time you play, practise and compete to master a new skill. You learn about yourself and your own behaviour in sport and that helps us to succeed on whatever life path we may take. Q. What do you want for your school? What matters is what we can provide for the parents and pupils. Millfield has a great history and heritage that recognises the value of sport in developing people, which was the vision of the school’s founder Jack ‘Boss’ Meyer and remains at the heart of our sport, music, art and academic offer today. Q. What does sport bring to a child’s development? Sport can help benefit all aspects of the learning and development environment in which any educational establishment operates. People take the physical and mental development through sport as a given, however, development of other psychosocial behaviours which underpin our values, beliefs and mind-set as individuals are as important. Q. How do you see sport in independent schools changing in the next five years? Funding in Olympic/Paralympic sport and broadcast investment in professional sport has had a dramatic impact on the development pathways which now exist within the UK. Equally, expectations about the true value of sport in development have changed and impacted how parents and pupils engage in sport at school level. Independent schools have a significant responsibility to manage that and to make a more significant contribution to sport in UK education as a whole. Our aspiration is to become the voice for sport in education and to find new ways to make a difference to everyone who chooses to engage in sport. The best thing about sport is the way it can transform lives. Over three decades I have been privileged to experience so many success stories of children who have built their character, values and behaviours around the sport they have played and those they have played it with. Q. What makes an excellent director of sport? I am one of over 75 people working to deliver sport at Oakham, from coaches to sports centre staff to drivers, medical staff, ground staff and caterers. The best thing I can do is to make everyone feel valued and give them the freedom and support to go out and do a great job. I think the secret to any leadership role is to give people your trust and let them take responsibility. Sport gives children experiences when they are the best and feel like a superstar, and experiences when they are challenged and really have to dig deep and find a way to cope. I think this variety of experiences is fantastic for any child. I believe an education equipping young people for a changing world should be heavily skills-based: problem-solving, planning, self-regulating and coping with pressure. All these can be taught through sport. In the next five years I think there is the danger of school sport trying to become too much like professional sport. It is an arms race of fancy job titles, facilities and equipment and podcasts. We must remember just because something is important in one domain it is not necessarily important in ours. The most important factor in any school for giving a rewarding and productive experience to any child is good coaching. That is above everything else. Good coaching is the key. 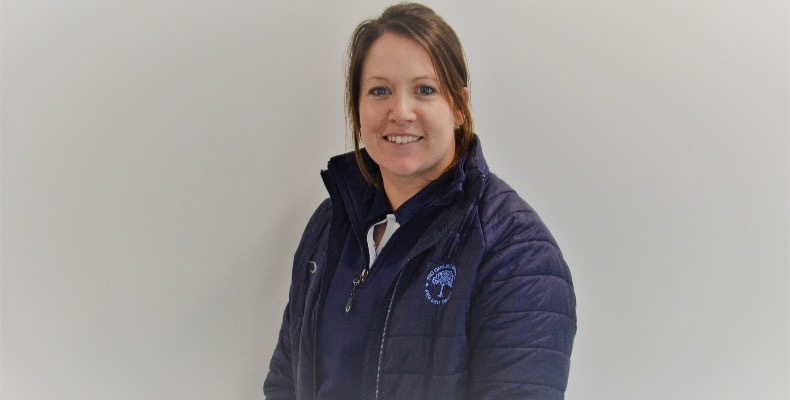 Badminton School’s director of sport, Sarah Gomersall, considers winning back-to-back team gold medals for Great Britain at the U21 World Modern Pentathlon Championships whilst studying full-time for her undergraduate degree her greatest achievement. As well as the obvious physical benefits sport yields, I love that sport has the ability to instil so many great qualities and positive values that are transferable into all aspects of life: communication, teamwork, fair play, determination, commitment and dealing with failure/adversity to name just a few. No other subject has the ability to embed the core values of life as sport does. Of course, a passion for sport is an absolute must but ultimately, it’s the work behind the scenes making the real impact. The ability to be a good leader, decision-maker, team player and a motivator, with high organisational skills, within the school community. It’s essential to ensure the pupils are the central focus to ensure the school and the department creates a positive, encouraging environment for all to thrive. Sport is hugely essential to a child’s development, not only in terms of improving their physical literacy and co-ordination, but also in developing their social, mental and moral grounding. 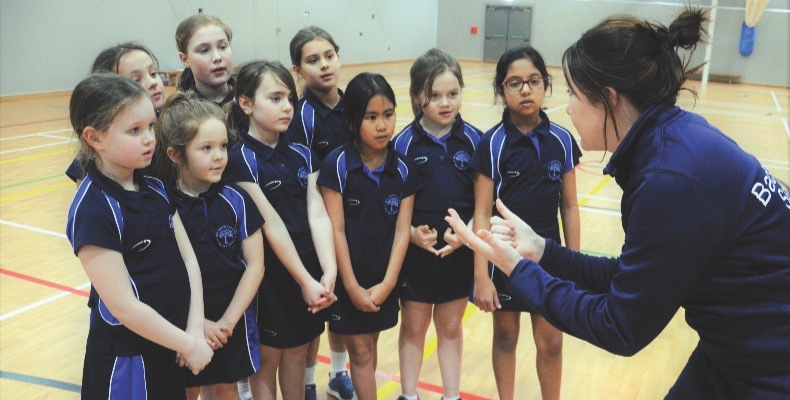 Sport teaches pupils to be self-aware, promotes social interaction through teamwork and co-operation, builds self-discipline and respect, boosts self-esteem and helps them develop lifelong healthy habits. Although there is still a heavy emphasis on traditional team sports in the independent sector, there is more demand for a broader sport offering which cannot be ignored. I have witnessed first-hand the impact of increased exposure particularly after the recent successes in women’s international netball and cricket. This continues to have a huge impact on interest and participation but has also informed curriculum changes around the country. One of the ways we have moved sport forward at Badminton over the last few years is by broadening our curriculum to offer the likes of ultimate frisbee, cricket, climbing, touch rugby and water polo to name just a few. 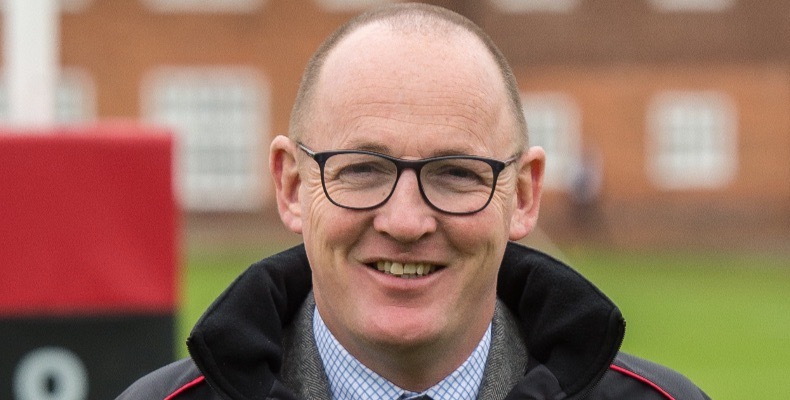 Outside of school sport, Rugby World Cup winner Danny Grewcock MBE, Oundle School’s outgoing director of sport, considers his career in professional sport and performing at that level to be his greatest achievement. 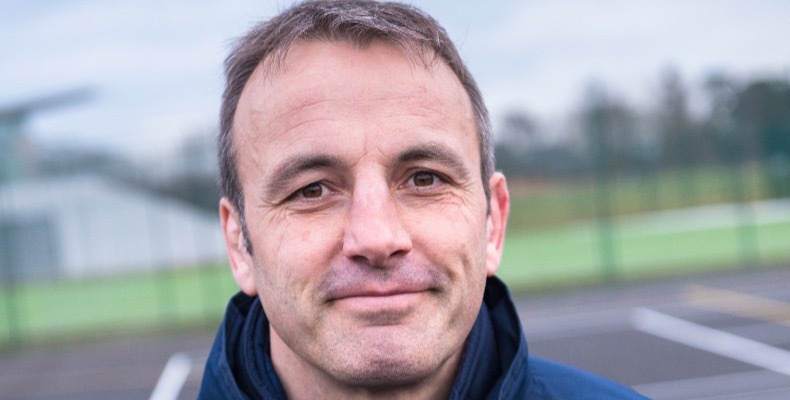 He will leave Oundle in September to become Clifton College’s high-performance rugby manager, a joint initiative with Bristol Bears Rugby Academy. The competition and the challenge which pushes you out of your personal comfort zone. The shared adversity of a team game or challenge and the humility sport brings; that honour of being in a team and the expectation to do your bit. I love seeing others grow; not the fastest or toughest necessarily, but the ones who try, fail and try again. Seeing how character changes through sport is what it is all about; the bravery of pupils stepping out of their comfort zone to lead a group. Bearing witness to the physical and mental development of pupils through sport is a real privilege. Within school sport it has been developing a coaching style that is a philosophy, encouraging a willingness to ‘give things a go’ and to understand losing is not failure. Sport allows individuals to learn about themselves and their peers in competitive situations, making them think, change tack when required and cope with adversity in a highly pressurised environment. Mental agility to adapt within a game and to control the ‘flight or fight’ feeling is a skill that will aid resilience in many other aspects of life. Hopefully there will be much greater recognition within schools of the benefits of sport across pupils’ lives, especially with regards to mental wellbeing. Sports and sustainability: an odd couple? As sport's environmental costs become clearer, we ask: how can schools use the latest tech and building practices to reduce their carbon footprint?